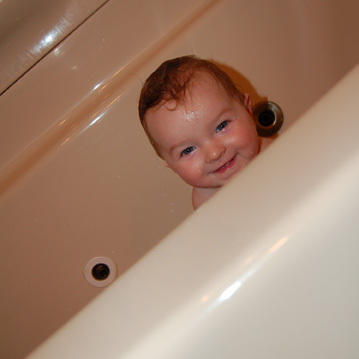 Since Rachel is an only child and so is Avery, both of them spend time in the tub alone. 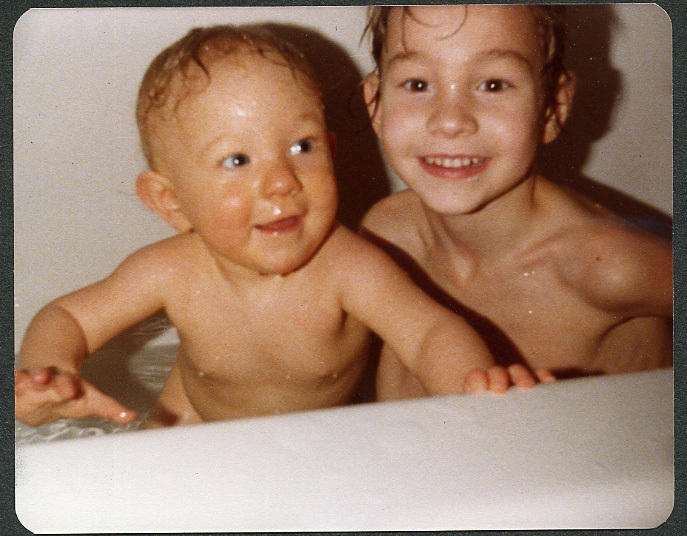 While Avery was visiting in Michigan, Rachel and Avery took their first bath together! Avery wanted Rachel to have the little tiny duck. In the series of photos that follow, Avery is taking the large duck away from Rachel and giving her the small duck. I think Rachel was amazed and in awe and distracted by Avery being so active and busy in the tub. She pretty much just sat there, holding her duck and watching Avery move and talk. 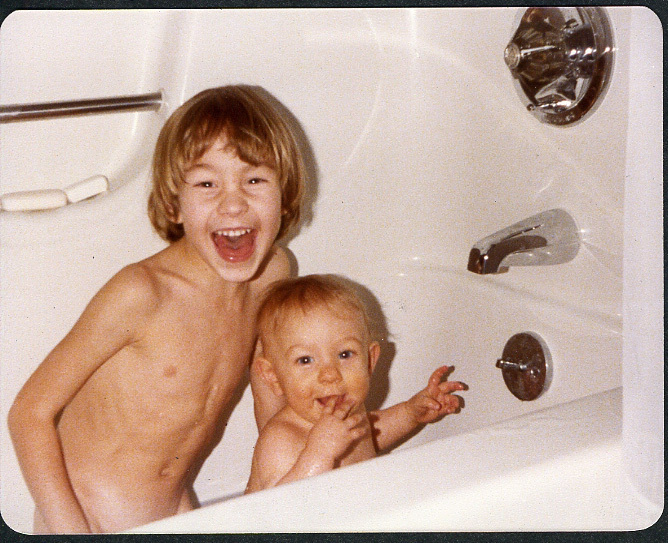 And for some memory lane photos, here are some bath time snapshots of my sister and I many, many years ago!